A token event occurred at the end of last year. 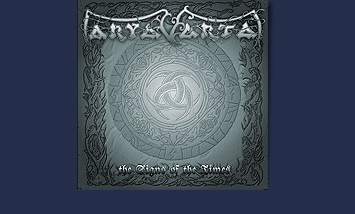 We want to inform you that Aryavarta has a new member. Kir Kult has joined our small and harmonious collective. Kir's musical affiliations include: Awesome (bass, vocal), and also Tartharia (bass, vocal) and Satanation (bass). We are connected by old friendly relations, and now the moment has come and Kir became a part of Aryavarta to put into our music some of his thoughts and feelings. In hands he, as always, holds a bass guitar, moreover, at the moment he already has recorded almost all bass parts for our new album. This event makes us happy and we hope for the further fruitful cooperation.